CAZIC THULE! Our favorite God of fear. We paid him a visit early Wednesday with our friends in Europa and Omni to give him a taste of his own medicine. Apparently he couldn't find a tree big enough to escape our raid force. Cazic Thule decided to gift us with a few of his organs... Congratulations Yell on a well-deserved Eye of Cazic Thule, along with our friends in Europa/Omni on the other Eye of Cazic Thule along with the Brain of Cazic Thule (gross). Never content with just helping our Dwarven friends in Thurgadin with Ring Wars, PS also helps with killing a certain giant menace that calls Kael his home. Congratulations to Sopha and Jigabyte on Chestplates of Vindication, and Tunesz on Boots of the Vindicator! We also love to visit Plane of Sky every Sunday morning to have fun island-hopping while we all enjoy some coffee. There's always an abundance of some great quest loot to get here, even in the face of some serious login server issues! (In recent memory) congratulations to Rums on a long awaited Belt of the Four Winds and Vadore of a Necklace of Resolution. We have also been knocking out some epic fights and smaller group activities when we can! Xenevorash, Eejag, Venril Sathir, Kazen Fecae, and others were no match for our (way more than necessary) raid force. We also made time this week for a Garzicor for our friend, Abides! 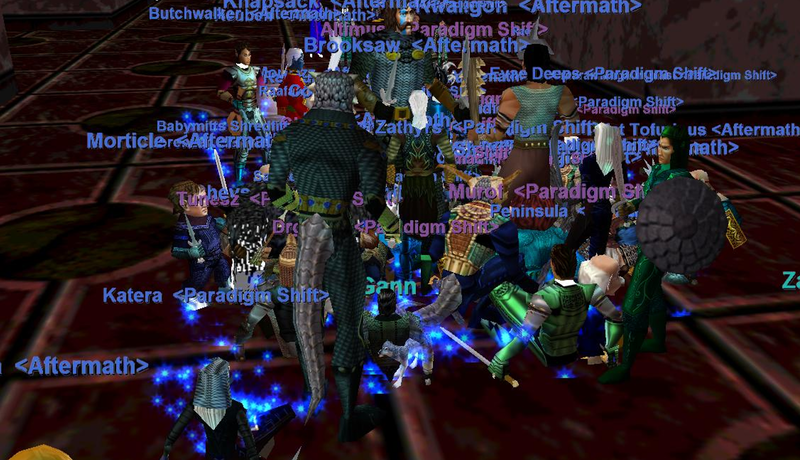 An earthquake earlier in this month apparently revitalized a lot of the server, and renewed interest (and competition) in killing giants and dargons! Our impromptu Halls of Testing raid turned oddly competitive with having to share part of the wing with another guild. This is how HOT raiding apparently occurs in 2019 ladies and gentlemen! Here at PS, we try our best to make the most out of the game. 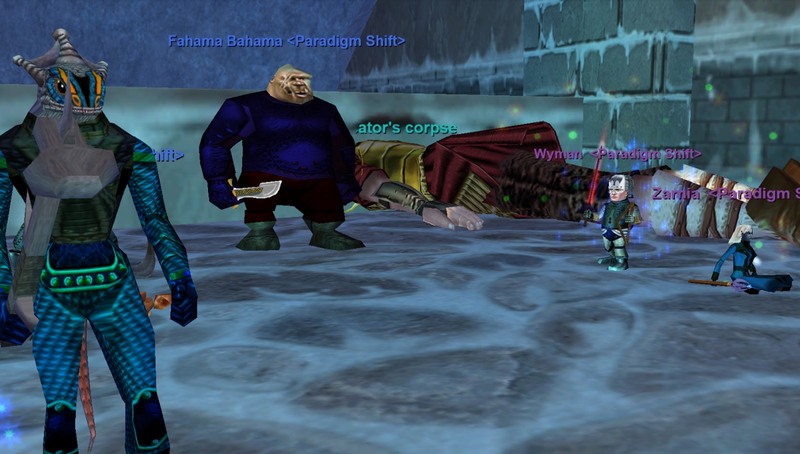 We all like to explore Norrath with our friends, and kill a couple baddies along the way. You have zero obligation to maintain a raid requirement, and we encourage people to just have fun. If you are interested in hanging out with a group of friendly, selectively neckbeardy people, we might be worth checking out. We are all incredibly approachable, so please feel free to reach out to any one of us! Except for Runyan, screw that guy.